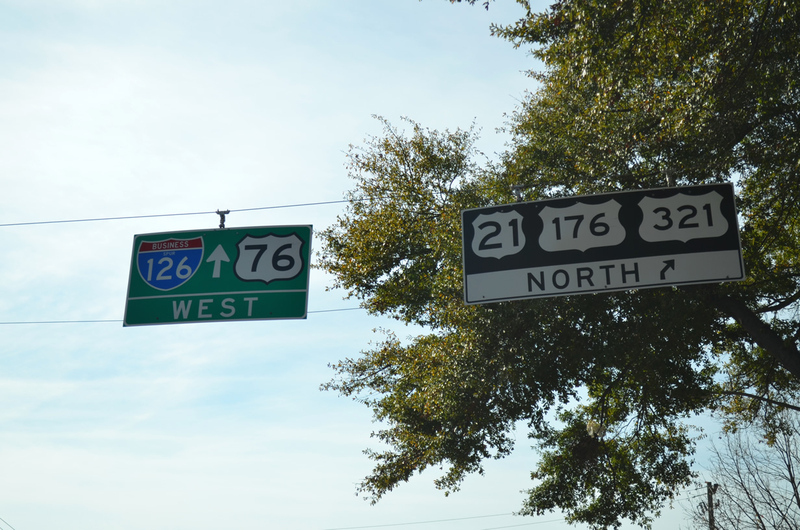 Westbound Business Spur I-126/U.S. 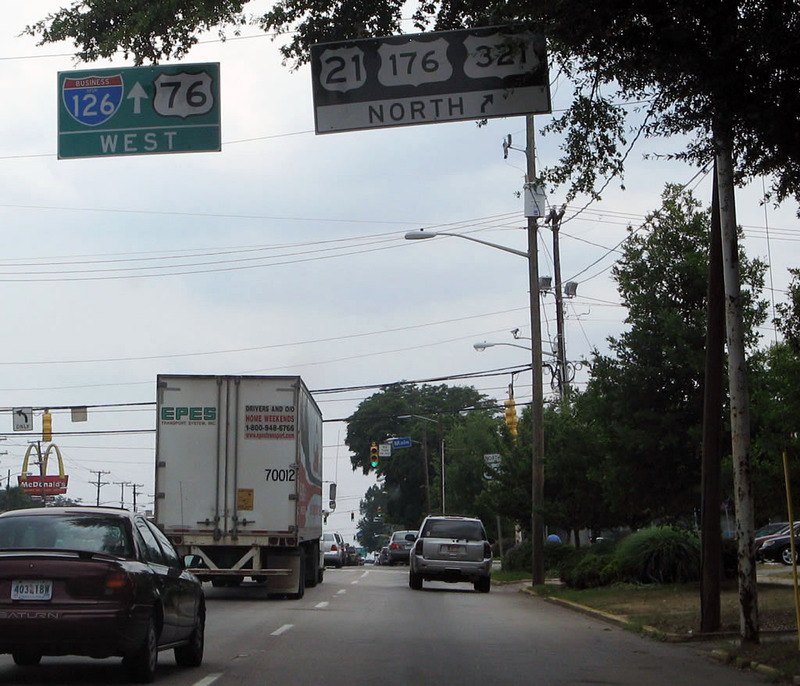 76 approaching U.S. 21-176-321/Main Street in Columbia. Photo by Alex Nitzman, 12/20/2013.